Disneyland is making room for a new 14-acre Star Wars attraction at its California resort. 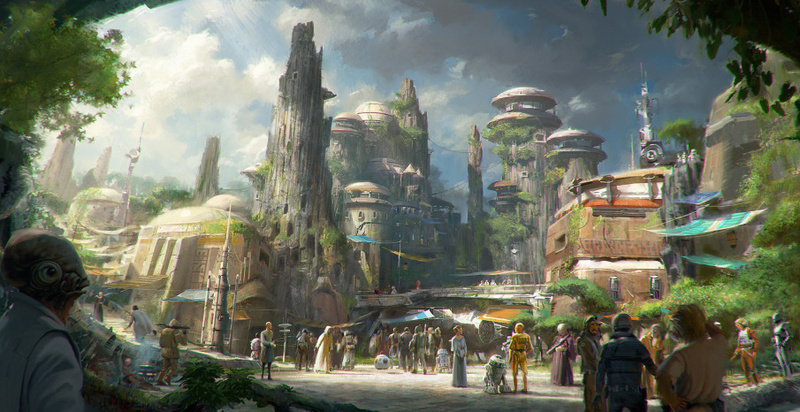 Disney will use newly acquired land and close existing attractions to make room for the so-called Star Wars Land. The Los Angeles Times is reporting that Fantasmic, Mark Twain Riverboat, Sailing Ship Columbia, Pirates Lair on Tom Sawyer Island, Davy Crockett Explorer Canoes, and the Frontierland Disneyland Railroad stop are among the attractions that will temporarily close. The temporary resort closures to accommodate the Star Wars Land would last for a year. Starting on January 10th, 2016, many of the Big Thunder Ranch attractions, including Big Thunder Ranch Barbecue, Petting Zoo, and Jamboree will permanently close. While waiting for the Star Wars Land to be built, Star Wars fans visiting Disneyland will still have plenty to do. Tomorrowland boasts several new galactic attractions, and Star Wars Launch Bay where patrons can meet their favorite film characters, from Darth Vader to Chewbacca. Hyperspace Mountain, formerly known as Space Mountain, also features themes and music from the franchise. Eventually, fans of Disney and Star Wars could expect to take an interactive customized mission on the Millennium Falcon, among other film-inspired experiences. Disney’s Orlando resort will also have Star Wars attractions. The Force Awakens in the heart of Anaheim beginning in 2016. This entry was posted on Thursday, December 31st, 2015 at 10:20 am	and is filed under Blog by Manny Pacheco. You can follow any comments to this post through the RSS 2.0 feed. Responses are currently closed, but you can trackback from your own site.